The tuition discount will pass guaranteed funding cuts to universities of at least 4%, rising to as much as 10%. Meanwhile, student debt is expected to grow as a result of these changes, and the conversion of OSAP grants to loans will hurt students, particularly those from low-income families. 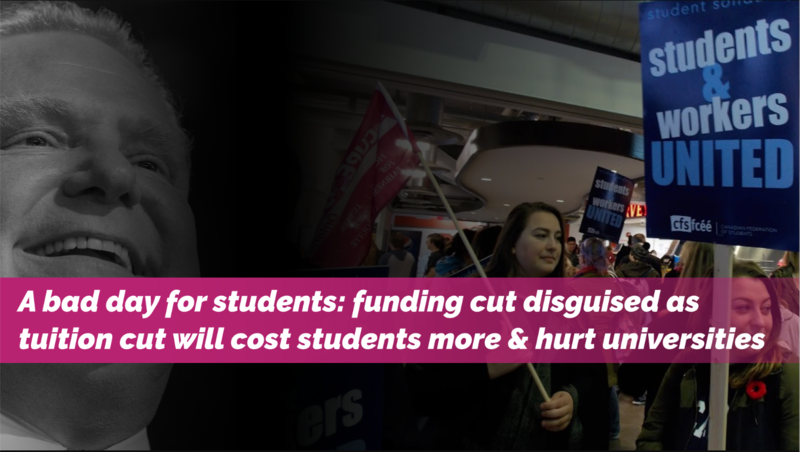 “By cutting funding to student unions the Ford government is looking out for itself and its slash and burn agenda. Student democracy, through elections and referendums, should determine student fees, not government insiders,” said Hahn.